We launched our three-year medium-term business plan in April 2017 based on the following business concept aimed at "The 2nd Stage Towards a 100-year Company -Innovative Creation of Value for Sustainable Growth-"
In this section, we provide a concise overview of this plan. In all businesses, we will enhance the collaboration with our domestic group companies to improve the quality and quantity of our proposals for comprehensive solutions regarding hardware, software, and services. Our aim is to expand the business "stock" by retaining existing customers and to increase our "flow" business by gaining new customers. Aiming to “Eradicate long working hours” and to “Raise productivity”, the Government initiated guidance towards private companies has been strengthened. Expand the customer base by further strengthening holistic solutions that integrates T&A, Human Resource Management and Payroll. Strengthen consultancy business and software marketing for T&A, HR, Payroll and Accounting by collaborating with CREO. The parking related market is expanding against the backdrop of real estate market revitalization towards the 2020 Tokyo Olympic Games. Improve the functions and the operability of the systems. Strengthen the collaboration with parking operators. Provide various services through the parking lot data center. 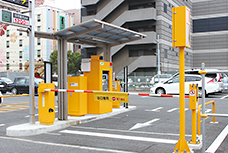 Enhance and expand initiatives regarding facilities such as security gates, toll highways, and bicycle parking lots. Capital expenditure by Japanese companies expanding abroad remain strong. 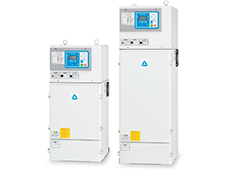 Enhance efforts to capture the demand for standard equipment. Expand sales in the pharmaceutical, food, and cosmetics markets. Improve engineering capabilities and promote comprehensive product sales to include peripheral devices, through partnerships with industrial equipment manufacturers. The market is facing lingering demand to reduce cleaning costs and to find ways to cope with aging cleaning workers and increasing number of inexperienced workers. 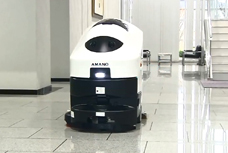 Expand the market for robotic cleaners and factories, strengthen recurring businesses. Promote holistic solutions including commissioned cleaning services and building aesthetic maintenance. 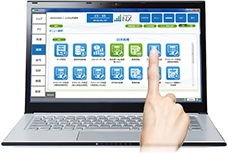 Expand system sales and seek early adoption of the new system for low-end market. Expand T&A terminal sales and expand the business by deploying cloud services. Expand standard equipment sales targeting Japanese auto industry transplants. Expand the wood floor sanding equipment business, and develop new business domains and channels. Further enhance the customer base in the French market and expand the business into neighboring countries. Expand the business domain by deploying management services. Further strengthening of management services and deployment into new territories. Enhance engineering capabilities, sales, and services towards Japanese transplants. Expand local production to strengthen competitiveness.